Celebrate your right to read anything and everything during Banned Books Week, which is September 23-29, 2018. Learn a brief history of “challenged” and “ banned” books. 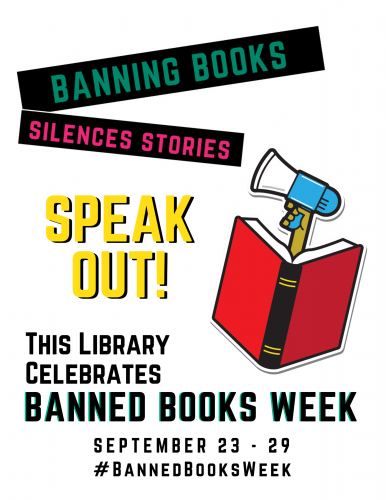 Come to the mic and read an excerpt (5 minutes max) from your favorite or newly discovered “banned book.” There will be a cart of commonly challenged titles on hand.